Knowing what questions to ask during your next dental checkup is part of being an empowered healthcare consumer. It’s important to stay up-to-date on your medications, tell your dentist about any symptoms you may be experiencing, and ask for tips about taking better care of your teeth. Staying in the loop with these important matters will help you to enjoy robust dental health, both now and down the road. Dry mouth. `This may be a symptom of diabetes or disorders of the salivary glands. Trouble swallowing. Have your dentist examine your throat for tenderness or swelling. Possible causes include routine infections, side effects of medicines, and, in some cases, certain forms of cancer. A heat or tingling sensation inside your tongue. This is commonly caused by nerve -related disorders. 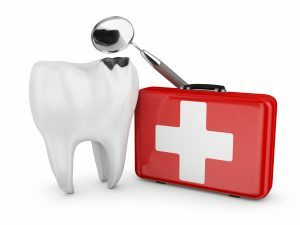 Pain or bleeding in your teeth or gums. This is often an early warning sign of tooth decay, a problem that’s almost always treatable when caught in time. Spots or streaks on your tongue. This can be caused by nutritional imbalances, side effects of medications, or a number of other issues. Your dentist may diagnose the underlying cause or refer you to a specialist for further treatment. Antibiotics sometimes cause a dry or tacky sensation in your mouth. Some liquid medications can cause throat irritation that leads to coughing or tenderness. Certain anticoagulants and high blood pressure medications can alter the taste of food. Let your dentist know if you have any questions or concerns about possible side effects. Switching to a different type of toothbrush or toothpaste. For example, some people find that electric toothbrushes do a better job of removing plaque than traditional manual brands. Trying a different style of brushing. Your current technique may be missing large sections of your mouth; or you might be damaging the enamel coating of your teeth by brushing too aggressively. Changing the way you floss your teeth. For example, some people use an up-and-down motion when most dentists actually recommend moving the floss string side-to-side. Avoiding of limiting consumption of beverages like coffee, tea, or soda. These can have a corrosive effect on your teeth, especially if they contain added sweeteners. If you smoke, then ask your dentist if there are any new medications or methods you can try to kick the habit. Along with sugar, tobacco products are the number one cause of dental health issues in the United States. It’s up to all of us to take an active role in protecting our teeth and gums. Use the tips in this post to make the most of your next dental appointment. Best wishes and bright smiles to you, both now and in the future. Dr. Megan Shelton is proud to call the Carlsbad area her home. When not practicing dentistry, she enjoys photography, performing volunteer work, and spending time with her husband Nick. You can reach her office online or by calling (858) 771-2221.